On Jan 20, 2015, VMware rolled out another version of Cloud service offering “vCloud Air On Demand”. This time VMware made the process very simple to access the service. Customers can use their credit cards to sign-up vCloud Air On Demand service(Pay-As-You-Go)(PAYG Model) and start their VMs in few clicks / minutes. 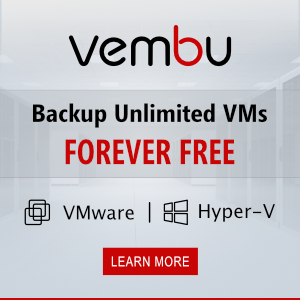 If someone wants to see the simplicity of accessing the service, I summarized the sign-up process and creating your first VM. For the first time you login, you will be asked where you want to create your first VPC (virtual private cloud). You will be prompted to choose from available DCs, choose the one which closest to you . Look at this article for allowing a VM to connect internet. 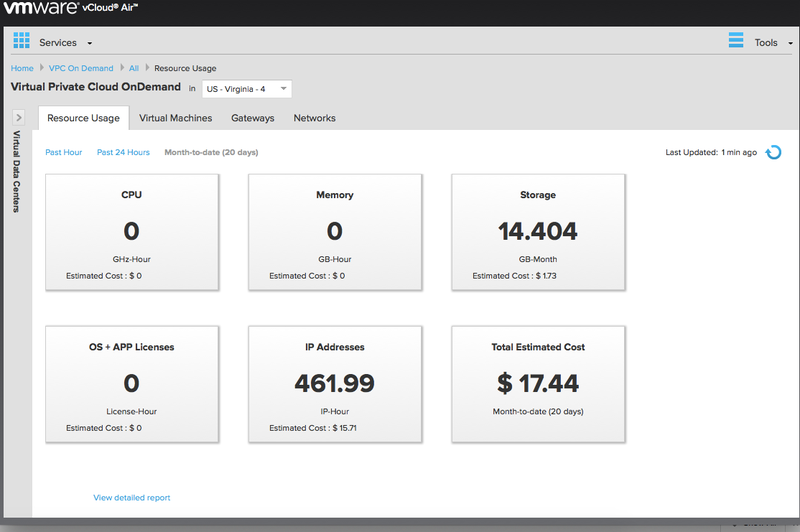 Also the billing and pricing is granular and can be viewed in the On-demand portal Resource Usage dashboard. 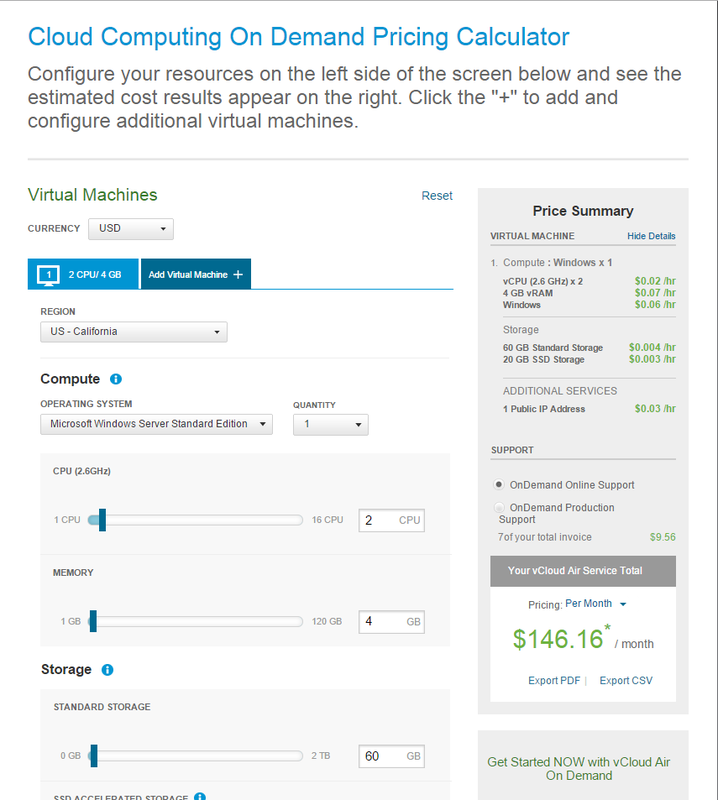 VMware has a pricing calculator / planner in their website, so a user can check approximate billing information prior signing up the service. So overall look at vCloud Air Ondemand looks promising and really useful when you need a VM/Resources real quick without any hassle. Good showcasing of the CoD offerings.